As any sports fan will know, Russia will host the next World Cup and North Korea will get the Olympics. But this year, the biggest event in rugby will be staged through June and into July in New Zealand. Fittingly known as The Tourists, the British and Irish Lions will play three Tests against the All Blacks and seven other games in many parts of a country you may already be familiar with thanks to Hollywood. If not, you’re in for a treat anyway. It’s a country of such incredibly diverse natural beauty it’s hard to imagine a better place to spend your time travelling far and wide to follow your sporting heroes. Spectacular mountains, acres of calming, open pastures, shimmering lakes, steep fjords, crashing rivers and even the odd active volcano make it one of the world’s most intriguing geographical regions. Given the fixture list and the fact that it’s close to some of the best beaches, enchanting holiday islands and has a reputation for outstanding food and shopping, Auckland, the largest and most diverse city, makes the perfect base. New Zealand itself consists of two islands; both sparsely populated – there are only about 4.5 million people living alongside and a few species of flightless bird you won’t find anywhere else – and given it’s the fifth largest wholly island nation on earth, there’s room to roam aplenty. The two islands are known simply as North Island and South Island, except to their Australian neighbours who call them the Shaky Isles, thanks to the occasional rumble of seismic activity. The capital, Wellington, is on the North, and home to Te Papa Tongarewa, the much-visited national museum. 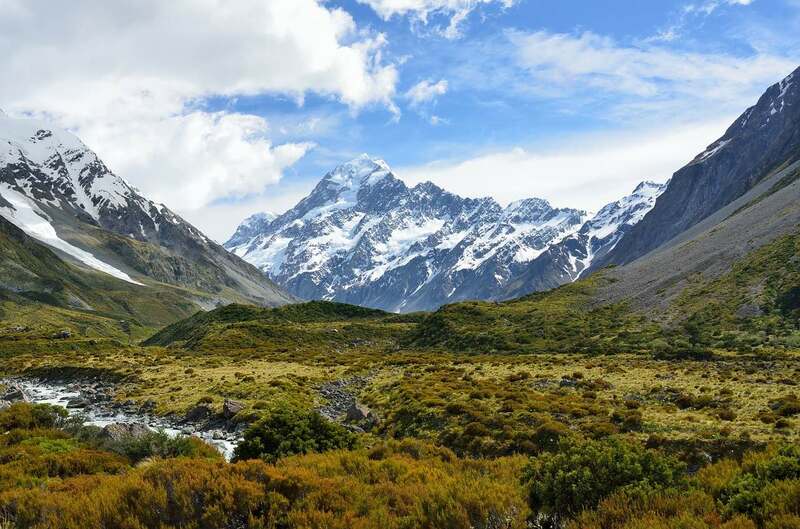 It’s also where you’ll find Mount Victoria which, along with the South’s Fiordland and Southern Lakes, became the backdrop for Middle Earth in the Lord of the Rings films. One tip: Visitors often misjudge distances – and therefore the time it takes to travel along roads which wind along the coast and through mountain ranges, so it’s good to allow more time to get around than you think. But it’s a clean, efficient country with good roads and well-developed transport networks and strategically placed airports. But despite this modern infrastructure, it maintains strong links to its past. Māori culture, for example, still plays an important part in everyday life and the tourism industry there is both proud and keen to help visitors understand its history. And history is important when there’s so little of it. New Zealand was the last significant area on earth to be settled by humans, given that the East Polynesians who discovered it only arrived there about 700 years ago, most of them in canoes. The climate is temperate, with cold winters in the south of the South Island but mild in the north of the North Island. Daytime temperatures can often top 30°C and only fall below zero in the elevated inland areas. So, if you’re planning to join the scrum this summer, the opening match of the 10-game tour sees a Provincial Union XV host the Tourists at the Toll Stadium, Whangarei on June 3. Other venues, and therefore places to visit, include Dunedin, Rotorua and Christchuirch. Several games will be played at, Eden Park, Auckland and several more at the Westpac Stadium in Wellington, all of which gives ample excuse to enjoy the sheer open spaces as you travel between games. The road linking between Auckland and Whangarei, for example, offers a scenic detour west via the Kauri forests – and a drive between Rotorua and Hamilton will see you stumble across one of those Rings the film sets at Matamata.